Turfgrass is one of the most popular choices for residential and commercial lawns in the Denver area. Mostly because turfgrass tends to thrive in cooler climates. However, with turfgrass comes turfgrass insects, which contribute to a large amount of severe damages to lawns throughout Denver. Because of improper treatment practices and unprotected lawns, these little critters will continue to mar the quality of Denver’s residential and commercial lawns. At Lawn Doctor, we understand the time and care it takes to prevent these insects from coming back with the help of our lawn insect control services. There are at least four types of bug and grub insects that we commonly see throughout Denver area lawns. Each type of insect emerges around the spring and summertime, typically once the weather begins to reach 60 to 70 degrees. While other insects, such as the bluegrass billbug and sod webworm tend to linger year-round, enjoying the cooler months as well. With each type of bug and grub, there is a symptom that is left behind indicating a potential infestation. 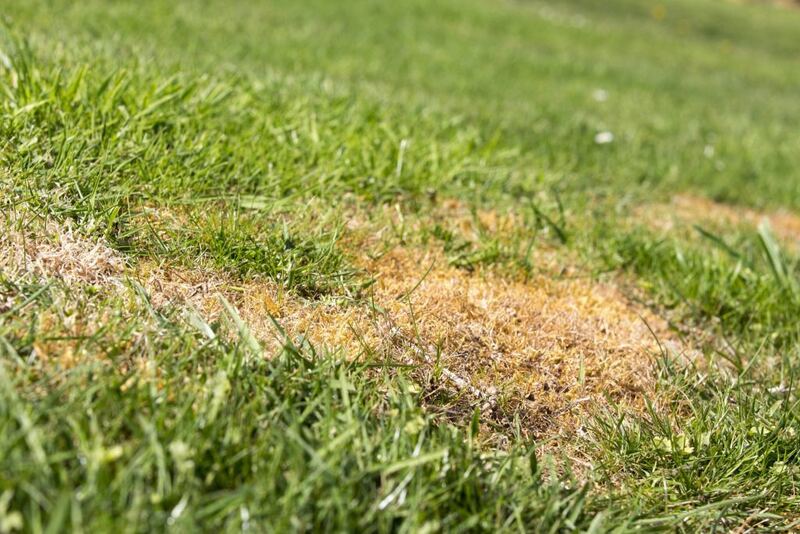 Most indicators result in brown or yellow patches inhabiting parts of the lawn, in addition to the added damages of birds, skunks, and raccoons foraging for these bugs. While it might feel these critters have begun to plague your residential or commercial Denver property, there are solutions. It is important to start from the very beginning, scouting and daily monitoring quickly allows you to identify any early onset bug activity, which provides the opportunity to prevent any serious damages from occurring. However, we understand that is not always a realistic option as the problem has already begun to occur. At Lawn Doctor, we offer Denver our best Integrated Pest Management (IPM), which provides season long protection, therefore, no worry. Do not become victim to these lawn invaders by allowing our professional lawn care technicians to take care of your property today. To start you off, we offer a buy one, get one free offer of guaranteed season long control, or a buy one, get one 50% off the targeting of overwintering insects. Do not wait until it is too late, let us be your number one choice for bug control today.